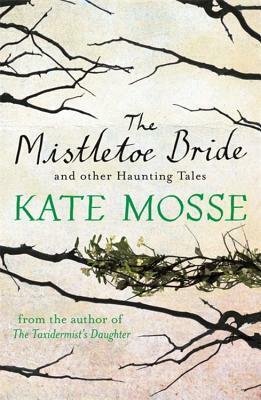 The Mistletoe Bride is a good collection of stories for those who already like Kate Mosse’s work, I think. It’s fairly standard fare for her: timeslips, connections across time, history in the landscape, etc. If you’re big on the folklore of Brittany and that sort of area, it might also interest you: there are a few tales in this collection drawn from that. The writing is usually good, though occasionally somewhat stilted or just… too familiar. As if the same phrases are being used in different stories, the same images recurring. The stories aren’t creepy-creepy, but they are in that mysterious gothic-ish style which reminds me a little of Daphne du Maurier’s short stories. It’s not an immensely special collection, and the tone is mostly the same, but for fans of the genre and of Kate Mosse in particular, it should be reasonably satisfying. One or two of the stories just made me cringe with their triteness, though — ‘In the Theatre at Night’ is something I would’ve written as a child, and I couldn’t take it seriously. I think my favourite aspect was actually reading about the origin of each story, getting at the folklore behind it. ‘The Drowned Village’ and ‘The Ship of the Dead’ were probably my favourites, and the title story is better than the other version of the same story, ‘The Yellow Scarf’, which again struck me as just… too convenient. Overall, the collection lacks a spark, I think. I’ve tried a few Kate Moss books, and although considering time slips, her slightly creepy plot twists some times, are all things I enjoy, I didn’t like reading them that much. Not sure why. I found them good light reading, mostly, or at least I remember them fondly. I do mean to reread sometime and see if they’re still fun. It’s been out since 2013!